World Wrestling Entertainment (WWE) is the world leader in sports entertainment. Use the WWE app to stay in touch with your favourite superstars. 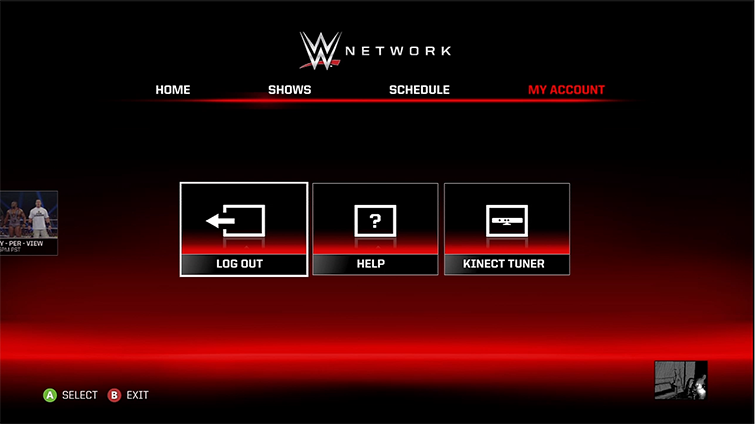 Don't miss a moment of your favourite WWE pay-per-view (PPV) events with the WWE app on Xbox 360. At least 166 megabytes (MB) of available space. You'll need a WWE account to sign in to the WWE app. To sign up for a WWE account, go to wwe.com, select SIGN UP and follow the steps to create your account. Select WWE to download and install the app. After the download, the app automatically starts, and you can browse through the catalogue and view details about the available content. To start the WWE app later, go to video, My Video Apps, and then WWE. Go to video, My Video Apps, and then WWE. On the app’s launch screen, you’ll be prompted to go to wwe.com and purchase a WWE Network subscription, or to select Member Sign In if you’re already a member. Note A WWE account is required to sign in to the WWE app. Sign in to the WWE app by using the user name and password for your WWE account, and then select Continue. Follow the steps to associate your WWE account with your Xbox 360 console and your gamertag. Note Once you've signed in to the WWE app, you won't be asked to do so again unless you disassociate your console from your WWE account. Watch the live content featured in the large centre tile. Preview what will be coming UP NEXT. See the trailer for the NEXT PAY-PER-VIEW. Navigate to SHOW or SCHEDULE to browse for more programming. On the MY ACCOUNT hub, select LOG OUT. At wwe.com , you can access your credit card information and review your purchases and purchase history. For problems with your WWE account or with WWE content, go to WWE support and log a request for help. View frequently asked questions about WWE. If you use Family Settings to control what can be watched through your Xbox 360 console on Xbox Live, the WWE app will follow whatever settings you've established. 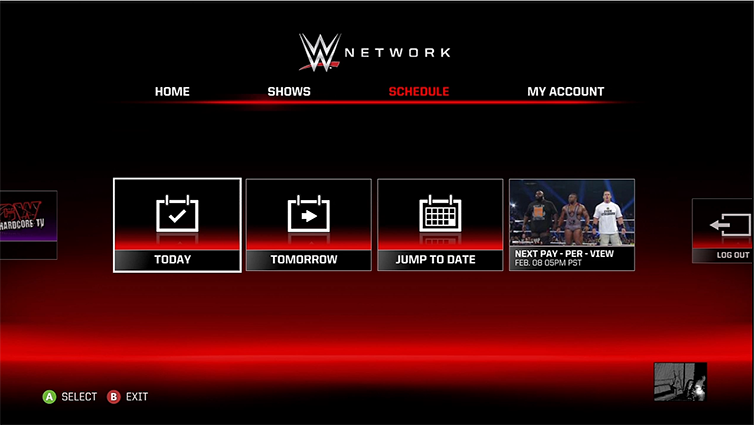 For example, if you prohibit TV-MA-rated television shows from being watched through your console, those TV programmes will be marked with a "restricted" icon when you watch them in the WWE app. To play a locked item, an adult must enter the Family Settings passcode and change the settings. Would you like to contact Support regarding the "Set up and use the WWE app on Xbox 360" issue you were reading about or a different issue?